Please join us by participating in the PSC Member Show at the Justice Center this spring. This is a wonderful opportunity to see your work in a public space and to give the public a glimpse of the work we love and find fascinating. All members are encouraged to participate, and we hope to see many submissions from members who have not previously participated in one of our exhibits. Shine on! This show is non-juried and any current member of PSC may submit one or two pieces to the show. If space becomes limited, we may hang only one piece per artist. Please do not submit artwork that has previously been displayed at the Justice Center. There is no theme for this show. Entry forms are due by April 6. 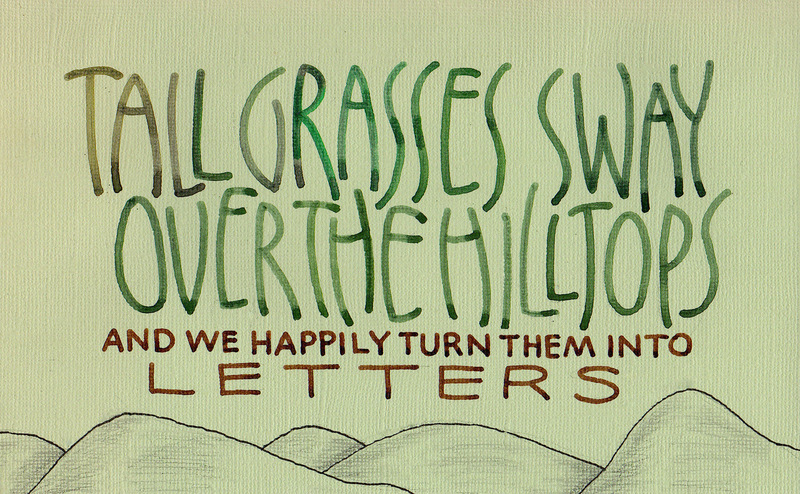 Join us on March 12 to learn Tall Grass Lettering with Cora Pearl. Monoline lettering with Speedball B-nibs is delightfully easy relative to the usual calligrapher’s tools of the broad-edged pen and the pointed pen. Because the thickness remains the same throughout each letter we do not have to think about pen angle or pressure on the nib as much as we do with the more traditional nibs. For this reason, this class is suitable for all levels of experience with lettering. Tall Grasses letters were created by Cora Pearl for one of her Design classes. These were inspired by looking at tall grass and the letters are tall and bend and sway. There are many possibilities for using these letters on their own or combined with other styles and tools. This class is a good choice for students who want to learn a new lettering style, for students who want to explore the use of B-nibs, and for students who want to write modern style letters. Exemplars and guidelines will be provided. Please note change of date and location for the February member meeting. Portland Society for Calligraphy is proud to present internationally recognized calligrapher Gemma Black from Tasmania, Australia. In 1991 Gemma received a Winston Churchill Fellowship to study in Europe. She is an Honoured Fellow and Fellow of the Calligraphy & Lettering Arts Society, UK. 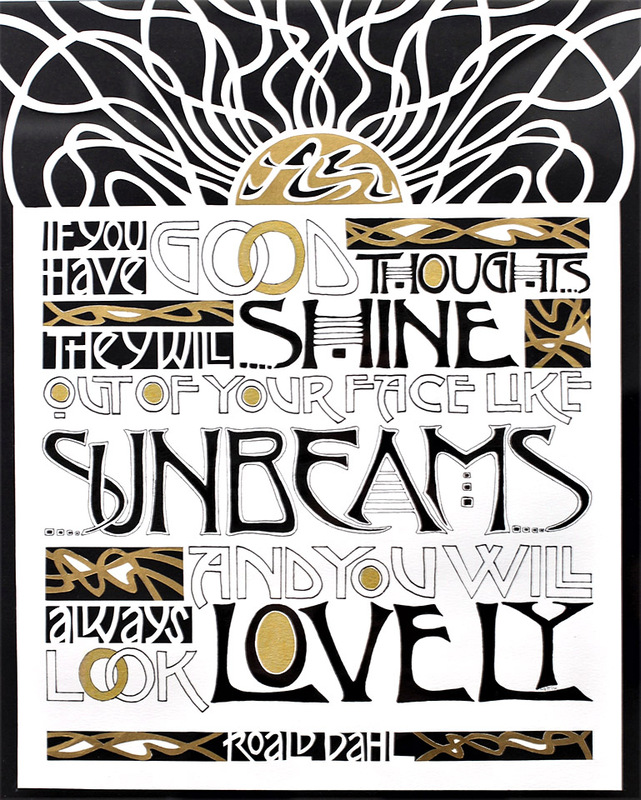 Gemma teaches for organizations throughout Australia and has also joined the faculty at international lettering art conferences in Italy, Germany, the USA, Canada, and the UK. Her work is housed in private and public collections including the Fitzwilliam Museum, Cambridge, UK; the European Parliament; Letterform Archive, San Francisco; and Parliament House, Canberra. Her area of expertise is calligraphic history: evolution of the western alphabet from the Roman period through to the 21st century. Gemma shares her passion and love for letterforms with enthusiasm. Gemma last lectured in Portland at Calligraphy Northwest 2012, an international lettering arts conference. A few lucky PSC members were chosen by lottery to participate in Gemma’s workshop on Versals and Compound Letterforms while she is here in town. Her Watercolor Monumental Trajans workshop is close to being full; registration forms are still being accepted. We are honored to have her join us here in Portland and hope you will bring friends and fellow artists to hear her informative lecture. For more information and to view Gemma’s artwork go to www.gemmablack.com. This meeting has already occured! Please join us on January 8th for the first PSC gathering of 2018 for “Making Art Faster” with Carol DuBosch. Carol DuBosch has been participating in Scribbled Lives, an online calligraphic art group, for two years making art weekly in response to a prompt created by another member of the group. 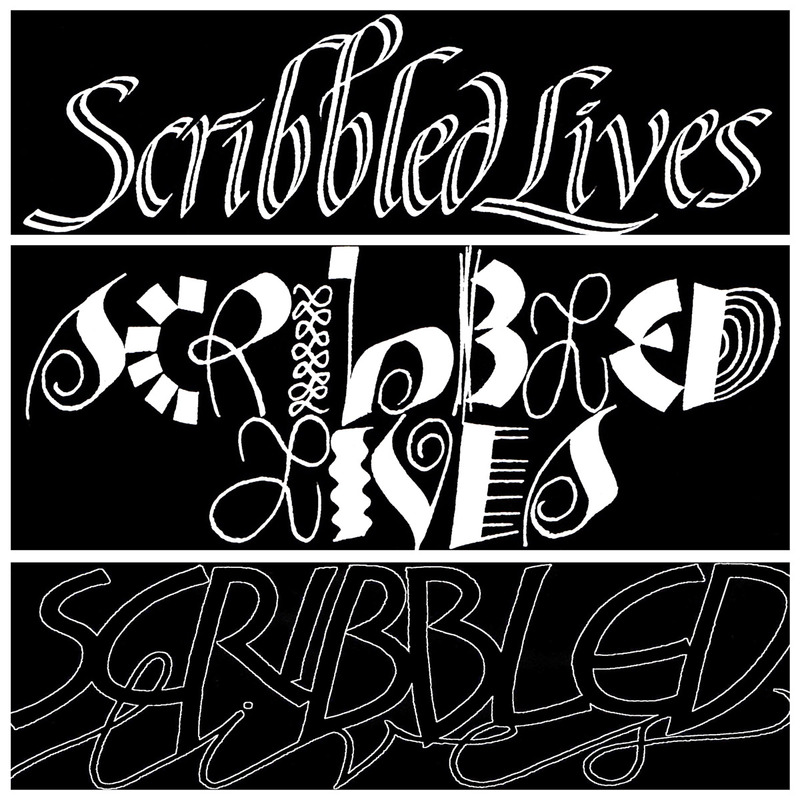 Scribbled Lives members share their artwork on a private Facebook page, where members can comment and ask questions. 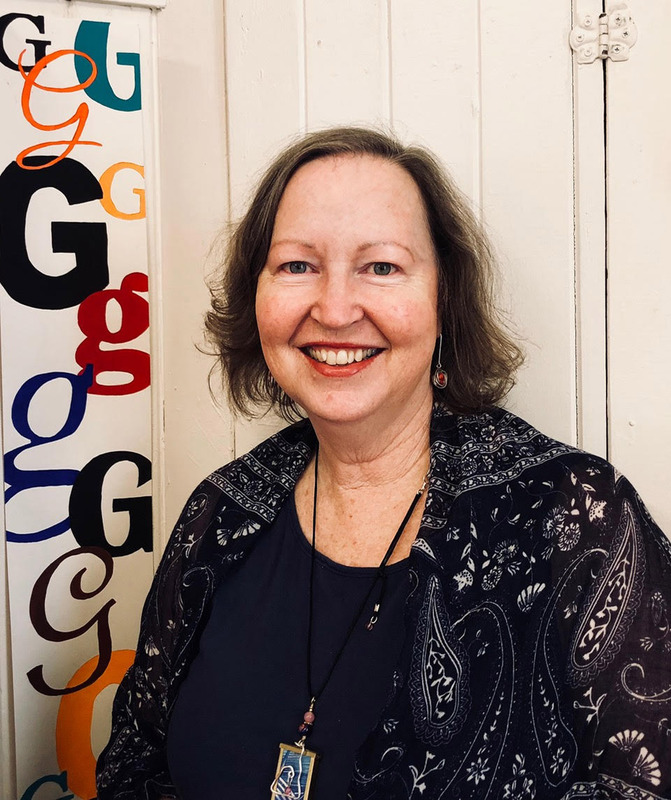 Making art every week for two years is challenging and Carol has learned to work and think faster, as well as learning many ways to shortcut her creating process. 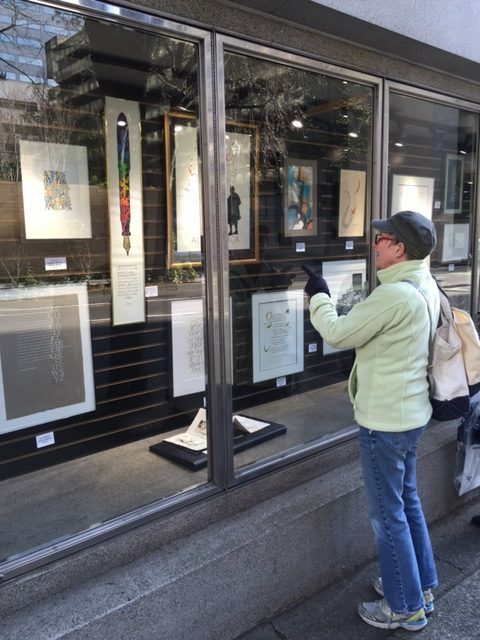 Carol has over 100 pieces of original calligraphy and all of the sketches and drafts to go along with them. At the Monday meeting, she will talk to us about her process and share her wonderful artwork. 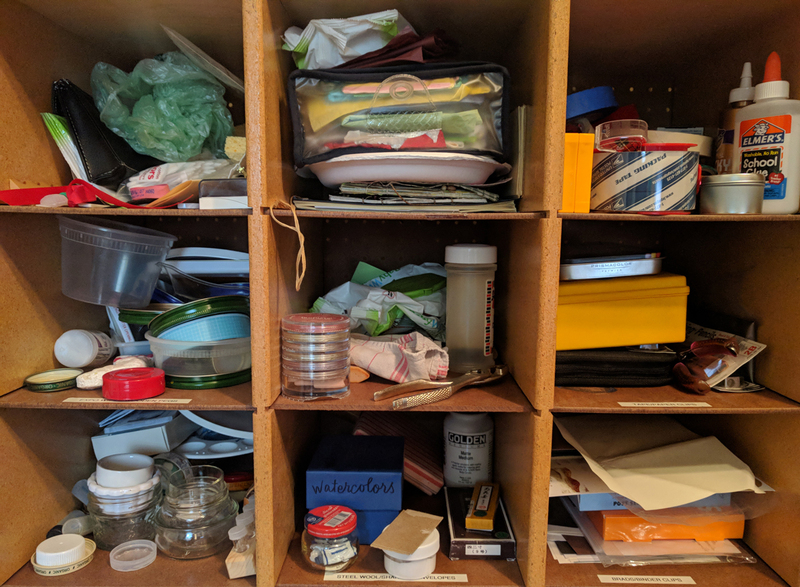 Clean out your cubbyholes and provide supplies for hard-working local art teachers and their students! Judy Large will be collecting items at the next two member meetings, 11/13 and 12/11. Find a list of requested donations HERE. Please join us on December 11th for our last PSC gathering in 2017. We will be honoring our current board and also welcoming the new board as they lead us into 2018. We have some special Christmas treats (food and otherwise!) planned, including trying out Fine Tech inks, getting help with your Instagram account (so bring your phones! ), and a project of making our own pen holders to keep and give away. 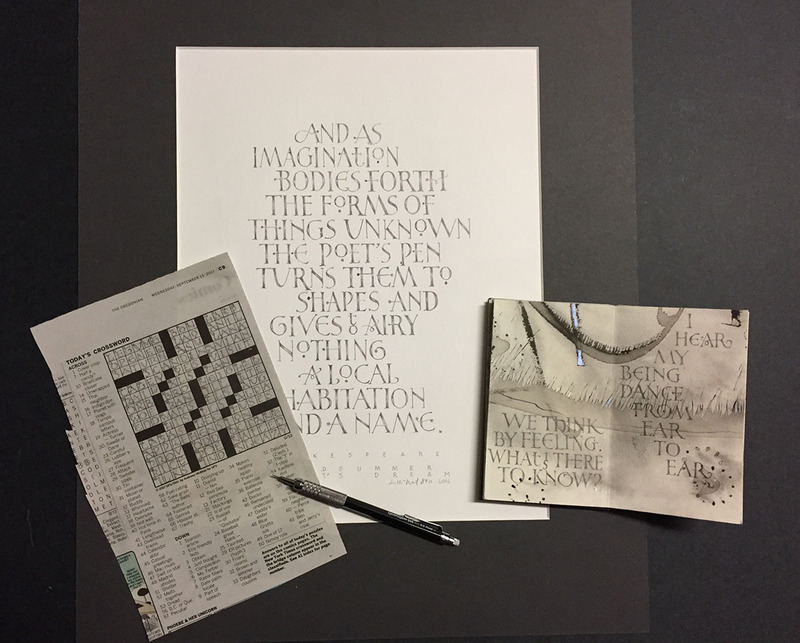 Have you been curious about how to incorporate paper cutting into your calligraphy? Amy Bennett has been doing just that in her recent pieces which combine hand-cut lettering and embellishments. Amy will be sharing with us the design process she uses to come up with the award winning pieces she creates. She will discuss a variety of lettering styles that work best for cutting, how to plan a papercut layout, as well as her favorite materials that she uses in her work. Come ready to be inspired and wowed! Join us on November 13th for an evening of exploring pencils and other graphite tools at our November Monthly Program meeting. We will begin at 6:30 with time to socialize and visit several “play stations” where you can try out a variety of activities using different types of graphite. At 7:00 Larry Whitson will present “Pencils: No Longer Just for Doing Crossword Puzzles”. The presentation will include looking at some examples of work he has been doing with graphite as well as a demonstration of the Versal-like script he has been using with pencil and other media. These are drawn, compound letters that can look elegant or casual. 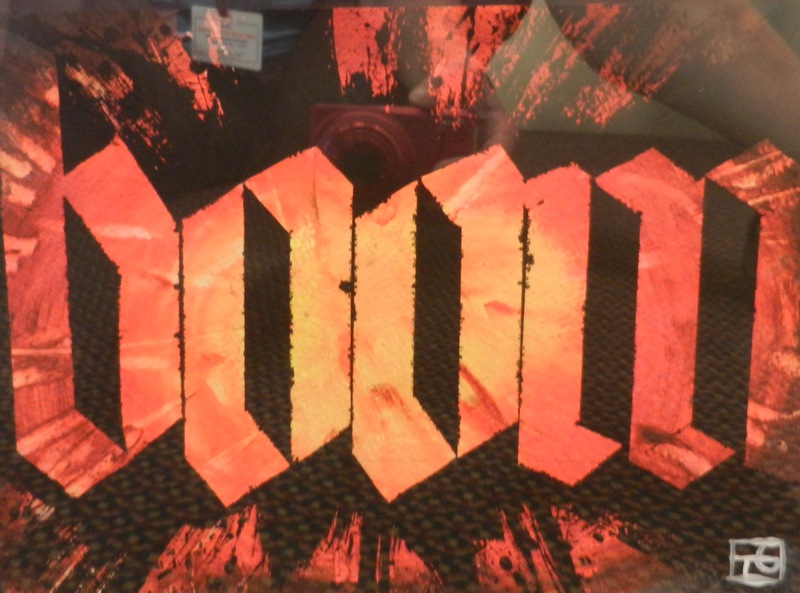 He will demonstrate how to draw these basic letters and then show some ways to bring a bit of quirkiness into the mix. If time permits, we will look at outlining large majuscule letters and filling them in with your pencil. Some pencils. Mechanical pencils in 0.3 or 0.5 mm sizes with HB lead will work fine. Typical #2 pencils are fine as are drawing pencils with 2B, HB or H leads. If you remember, bring two extra #2 pencils and a bit of masking tape to tape them together. A colored pencil or two may come in handy. We will be working on the practice paper you bring. If you want to try a nicer paper, bring a piece of Arches Text Wove or Strathmore 300 or 400 Drawing paper or something similar. If you have examples of work done with graphite, feel free to bring them along to share with the group. Welcoming all calligraphers and lettering artists to a day of lettering, whimsy and play hosted by the Portland Society for Calligraphy. Registration Fee: $65 includes a box lunch, two classes and time to play! Vendors, registration, morning social and exhibits open at 8:00 a.m.
Join us on October 9 at 6:30 pm. Come visit with friends and try out some hands-on activities before our official meeting begins at 7:00. Playing with Pan Pastels on black paper, experiment with a variety of writing tools on black paper and making a clever Halloween card. Are you a fan of bold gothic lettering? October’s meeting is one you won’t want to miss. Margaret Hespen, one of our members who teaches art at North Clackamas Christian High School, will be our presenter. She will be teaching a technique for making bold, gothic letters like her students learned for the pieces they submitted in the 2016 Oregon State Fair. Come prepared to learn something new and meet fellow lovers of letters. We’ve had a great start to this year’s programs and will be continuing with a fun and inspiring lettering activity that we will all be doing together. We will also take time in our October meeting for our brief annual business meeting in which we elect the board members who will be leading us forward in this coming year. ***For those of you who tried out and fell in love with Tyvek at our September meeting, we have ordered a roll of this wonderful product for our members. The Tyvek is 22 ½” wide and will cost $1.00 per yard. It will be available at our October meeting. Reminder: you are welcome to park in the Trinity Episcopal parking lot across the street for our PSC meeting. Portland Society for Calligraphy monthly gathering Monday, September 11. Trinity Episcopal Cathedral, Morrison room, 147 N.W. 19th Avenue, Portland, Oregon. 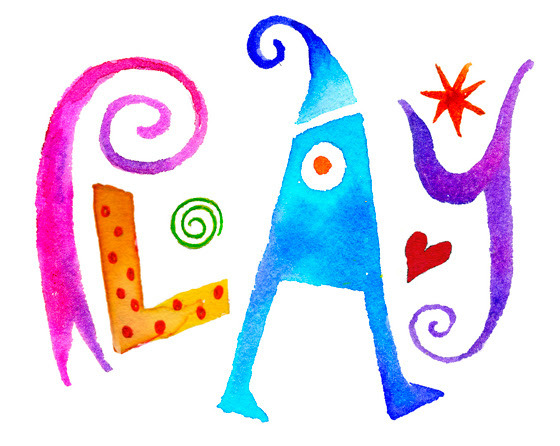 Join us at 6:30 p.m. for ‘Play Time’ an expansion of our programing. Dive in and get your hands busy with Gelli Plate printing, folded pen play, Tyvek surface preparation. All supplies will be provided. Meet and greet members and guests while enjoying refreshments. At 7 p.m. ‘Show & Share’ kicks off as we invite members and guests to share your play and passion by bringing items you’ve created in your studio, a workshop, or classes. As visual-creators, this promises to be a rich evening with many delights. Items need not be completed for sharing. We are all curious about the workshops and classes we missed so please share. Tables for display are available. A brief business meeting will include the presentation of a slate of officers and members of the board of directors of PSC for 2017.